Graco Rocker, is created with all the tried and true designs. It will give your baby the swings armed comfort along with all the bells and whistles that you desire for your baby. This is the right product to keep your baby calm. The pick is a unique baby swing featured with swing motions, vibration, and comfortable seat with harness safety and adjustable seat option. The impressive swing is featured with three different seating positions, which will give the best calming option to the baby. Graco DuetSoothe Swing with Rocker will keep you baby happy with its two in one feature, the rocker for relaxing your baby, while the swing is to soothe the baby. The feature of the Graco DuetSoothe Swing with Rocker, which I like the most, is the removable rocking chair. The rocking chair attached to the swing is just an amazing feature of the baby swing. The best thing is that you can take it out from the rocker and keep it beside you while working. 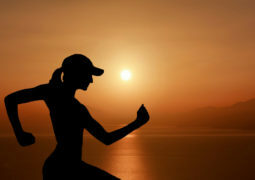 The safety harnesses feature of the product. The smart vibration mode of the swing is enough to calm the baby in a relaxing way. Further, you will find the carrying handle is detachable. To make it portable, you can remove the carrying handle of the rocker if needed. 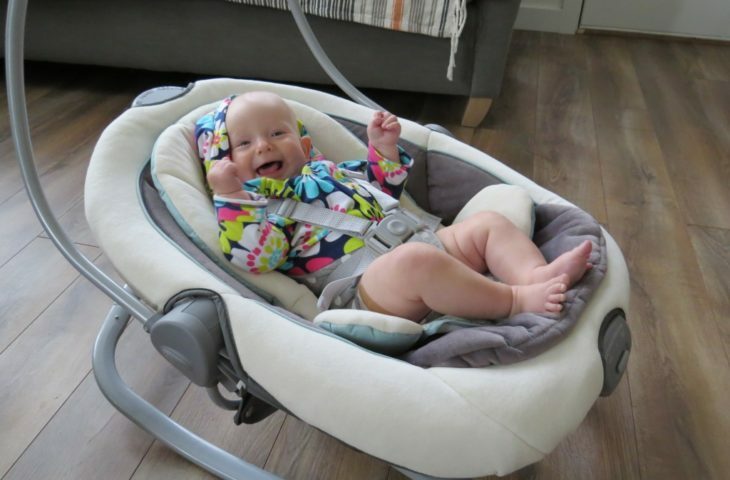 The swing has all the comfort & safety for your baby with 5-point harness point. The seat of the swing has soft head support for better comfort. You will get three free toys in the toy bar in front of the baby.